This is my second card which I created with one layer. I used Tombow markers to create the watercolor background then randomly stamped the flowers and ink splatters using a grey pigment ink. The last thing to do was stamp the sentiment and butterfly in black to make it pop against the background. 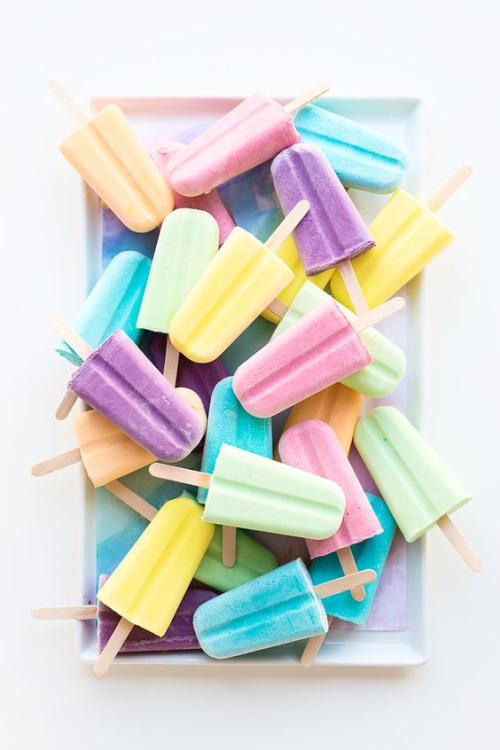 So colorful and pretty! 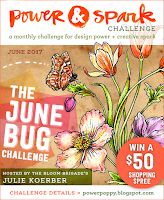 Thanks for playing in our Power and Spark June Bug challenge this month. Beautiful background and it makes the butterfly pop! 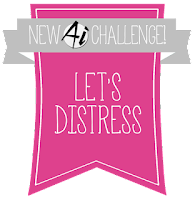 Thanks for joining our challenge this week with Kraftin Kimmie Stamps. wow, this is so pretty! Love the watercolouring. 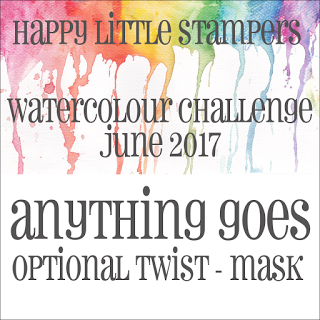 You should also enter this over at the Happy Little Stampers Watercolour Challenge! I always love to see a one-layer card and this one is spectacular!! 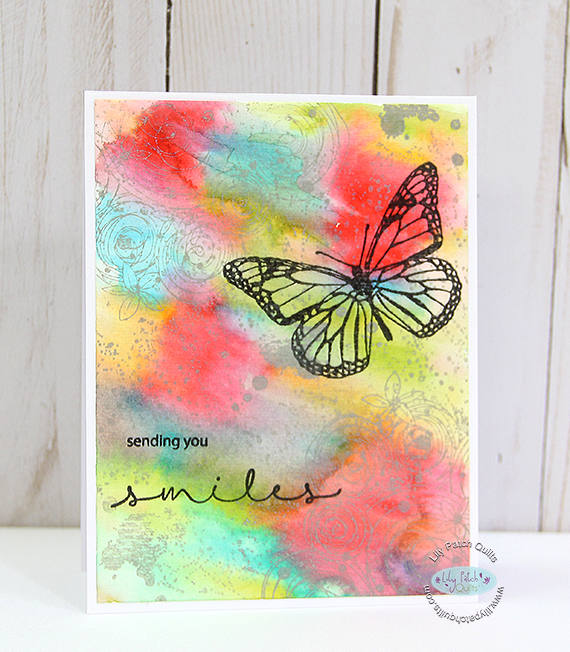 Loving all the colours you used and the idea to stamp and splatter with grey ink is genius!! 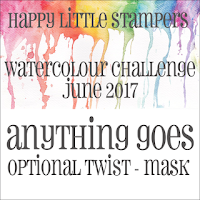 Love this so much and I'm so glad you shard it with us at Happy Little Stampers! Such a lovely background for this pretty butterfly! 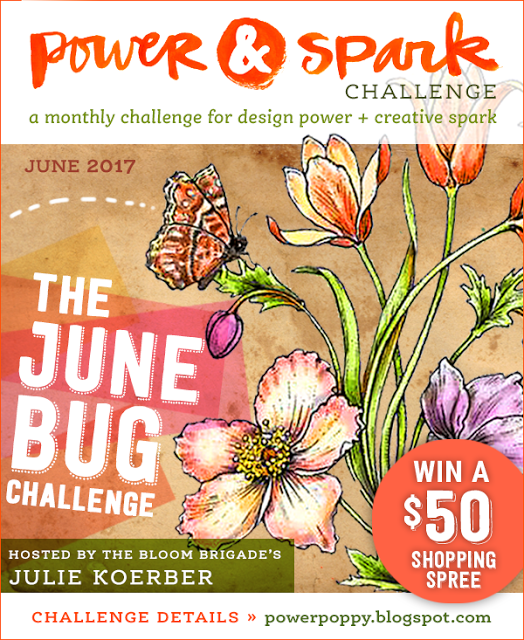 Thanks for joining us at Power Poppy this month! Beautiful card! I love the Joy Clair stamp set that you used, and the colors look awesome! Thanks for sharing with us at the Joy Clair June Challenge!